Matt Warnick sent me this email. I remember watching this ad during the Olympics and I thought it was really good. Thought I'd share it with those of you who maybe didn't get to see it. Make sure to pause the music playlist so you can hear the video. 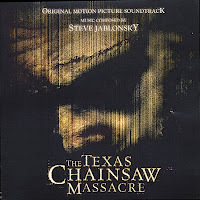 -a famous person with your last name, Tobe Hooper--creator of The Texas Chainsaw Massacre movie (the original). Oooooo Scary! Peck Family favorite Olympic moments. Go team USA! After talking to my dad we changed the new competition a bit. This is a competition for everyone. You do not need to lose weight to be in this competition! First everyone needs to pick their goal. The goals need to be realistic (i.e. my dad’s can’t be to lose 5 pounds) but also achievable. Some goals could be to lose weight, be a certain dress/pant size, not drink caffeine or pop anymore, etc. You get to come up with your own goal. Whoever is going to participate needs to post their goal on the blog. The goals need to be met by the Christmas party which means we have 4 months to reach them. Also, there can be multiple winners. Whoever reaches their goal will get a prize! Everyone needs to post their goal by Monday August 25. Every week you will need to post what you have done to achieve your goal. One week before the Christmas party everyone will need to post whether or not they met their goal. The prizes will be brought to the party or mailed to you if you cannot make it to the party. I hope everyone will participate. I think we all owe it to ourselves to. Alright, here's the deal. I desperately need to loose some more weight. I know there are a bunch of you out there that feel the same way. I am looking to start another little competition. It would only be until Papa and Grandmas Christmas party. I'm just wondering if there is anyone out there who would like to do this with me. Let me know and I will get something going. Oh, and there will be a prize! What was your favorite Olympic moment??? I know they're not over yet- but as they come to a close, comment and let us know. I'll tally them up at the end of the week and post the favorite Olympic Moment. More 24th Pix...Thanks Kelsey for sending them to me! 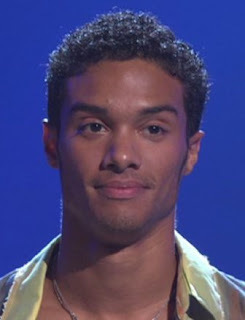 -The famous person brought up with your last name was Danny Tidwell from "So You Think You Can Dance".....Funny! So it's time to spotlight Nicole. She has done so much work to keep this blog up and running. It has been so much fun to see everyones comments about each other. Now it's time to comment on our wonderful Nicole! Thanks to Grandma and Papa we had another 24th party full of good food, great conversation, a small water fight, and lots of baseball watching. We missed those of you who weren't there. These pix aren't great. If anyone has some they'd like to add that would be great. Hope you enjoy the slideshow.